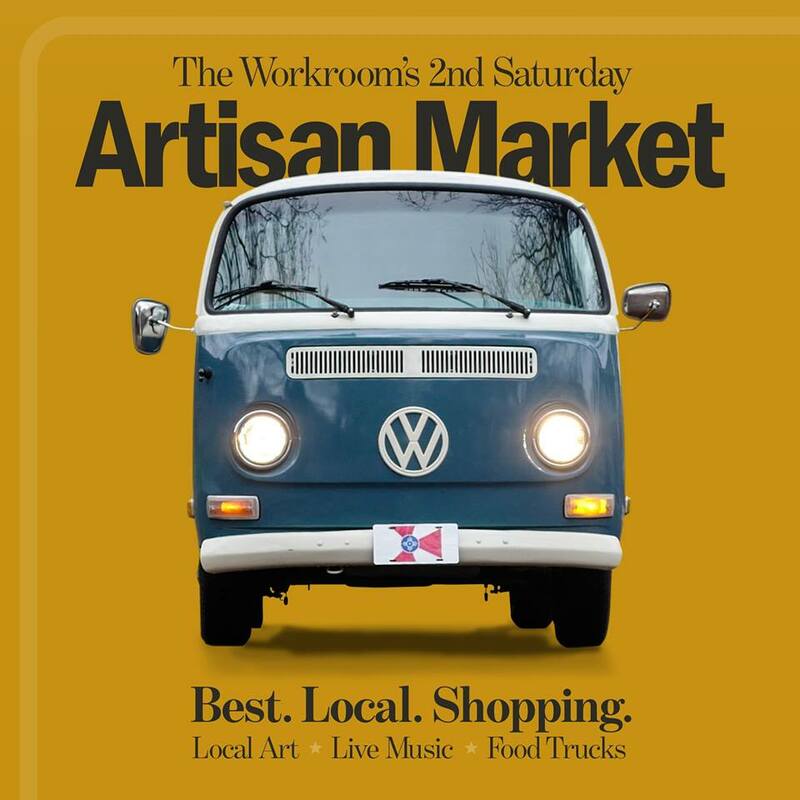 We invite you to join us for our 2ND SATURDAY ARTISAN MARKETS, April through October at The Workroom, located at 150 N. Cleveland. We want the best collection and variety of rich local talent to give the community the opportunity to see the brilliance of our local creatives! Food trucks and live music will be back on the scene as well. We welcome all regional makers and reserve booth space only for handcrafted, upcycled, locally designed or embellished products. Booth sharing is allowed. We just ask that one person from the booth sign up with their information. Once your application is submitted, you will receive a confirmation email. This means you have been accepted unless otherwise noted. In the week leading up to the market you signed up for, you will receive another email with load in time and instructions. The Workroom does not provide any tents or tables. These are the responsibilty of the artisans. We do highly encourage tents due to the unpredictable Kansas weather. These tents must be securely weighted down for your safety and the safety of all those in attendance. APPLICATION DEADLINE IS THE 1st of EACH MONTH FOR THAT MONTH'S MARKET. Numbers only. No dashes or letters. Just enter numbers, no letters. If drivers license is from another state, please note that in the comment box below. Booths are NOT RESERVED until payment has been recieved. Deadline is the 1st of each month for that month's market. IF YOU PREFER TO MAKE PAYMENT IN CASH OR CHECK YOU MAY PRINT AND SUBMIT TO THE STORE IN PERSON OR MAIL TO: 150 N CLEVELAND 67214.